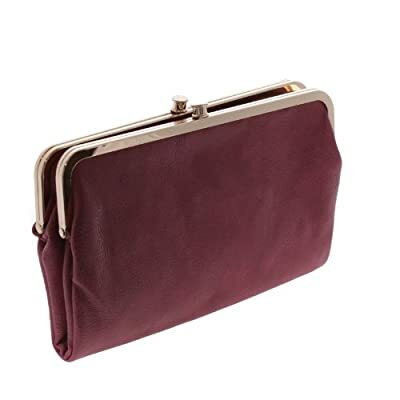 This uniquely designed Vegan Leather clutch by Urban Expression folds in half and has two compartments to store larger items such as a phone or camera. The fold hides a compartment to store 3 credit cards, an ID slot and a zipper compartment for cash and receipts. Goldtone hardware and navy blue satin-like floral print lining completes the look. Measures 9" x 5.5" x 1.25"
Multiple storage compartments Decorative lining Can go from day to night Measures 9" x 5.5" x 1.25"